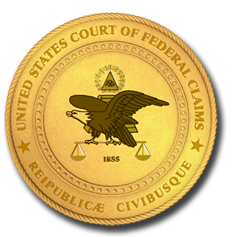 Judge Wolski was appointed Judge of the United States Court of Federal Claims by President George W. Bush on July 14, 2003 and entered duty on July 24, 2003. He is a 1984 graduate of the University of Pennsylvania, receiving a B.A. in History from the College of Arts and Sciences and a B.S. in Economics from the Wharton School. Following graduation, he served as research associate to a supply-side economist at the Center for Strategic and International Studies and at the Institute for Political Economy. In 1988, he served in the Reagan Administration as speech writer to Secretary of Agriculture Richard Lyng, and in 1989 he served in the administration of President George H. W. Bush, in the General Counsel's office at the U.S. Department of Energy. Judge Wolski received his J.D. in 1991 from the University of Virginia School of Law, where he served as president of the Federalist Society and as a member of the editorial board of the Virginia Tax Review. In 1991-92, he served as law clerk to Judge Vaughn R. Walker on the United States District Court for the Northern District of California. From 1992 to 1997 he was an attorney with the Pacific Legal Foundation, where he was counsel of record at the petition stage in Suitum v. Tahoe Regional Planning Agency, 520 U.S. 725 (1997). From 1997 to 2000, Judge Wolski served as tax counsel to Senator Connie Mack (R-FL), a member of the United States Senate Committee on Finance. He was General Counsel and Chief Tax Adviser to the Joint Economic Committee of the U.S. Congress in 1999 and 2000. From 2000 to 2003, Judge Wolski was an attorney with the Washington, D.C. law firms Cooper, Carvin & Rosenthal and Cooper & Kirk. He is a member of the bars of the United States Supreme Court, the District of Columbia, the states of California, Washington, and Oregon, the U.S. Courts of Appeals for the Ninth and the Federal Circuits, the U.S. Court of Federal Claims, and several other federal courts. Judge Wolski and his wife are residents of Virginia.